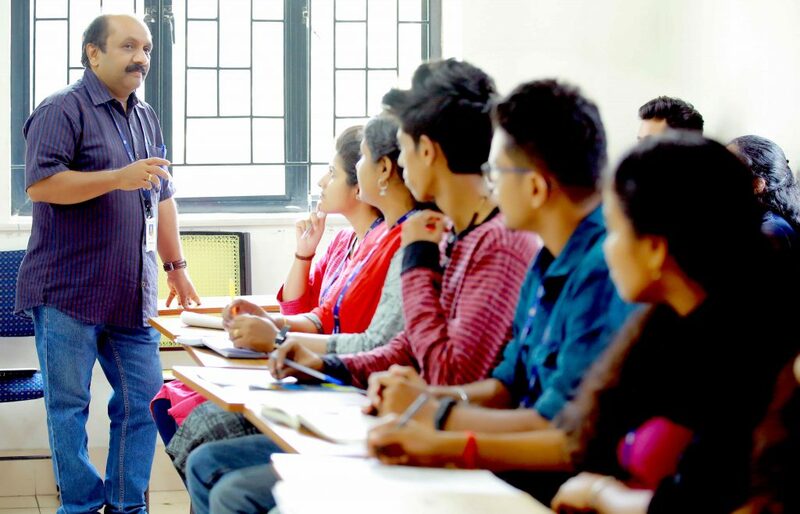 Master of Science in Computer Science with specialization in Geospatial Analytics course offered by the Indian Institute of Information Technology and Management-Kerala, aims at offering a high standard curriculum in allied disciplines of Computer Science. The programme focuses on a broad grasp of foundations in Computer Science, deep understanding of the area of specialization, an innovative ability to solve new problems, and a capacity to learn continually and interact with trans-disciplinary groups. The technology enhanced e-learning methodologies with web based course management system and on-line learning system enriches the programme, allow to broaden their horizons. The duration of the programme is 2 years and the courses are carefully designed to attain technical aspects that enable the students to grow into geoinformatics professionals. There are 11 core courses, 4 electives and five lab courses. The students are required to do a minor project of 2 credits each during 2nd and 3rd semester. The students are also required to take one elective course during second semester and three elective courses during the third semester of 3 credits each. The 4th semester is for project/internship of 18 credits. Students are required to undergo an industry or research oriented project in any leading IT or R &D organizations. The total requirement for the programme is 72 credits. Data analytics is one of the hottest trends in enterprises today. Companies are dependent on data analytics for a wide array of services and features which help the company achieve its goals faster and deliver utility to its customer in a timely manner. When conventional data analytics is powered with location and geospatial, it holistically takes care of the customer requirements. Geospatial technologies enhance the utility, functionality as well as the relevance of data analytics. There is a wide prospect of an increase in the use of spatial technologies. Geospatial data analytics is driving businesses and fostering innovation across different verticals. It also enriches the user by offering him a new perspective of data interaction by enabling users to recognize new patterns and connections, which can’t be showcased in traditional methods using graphs. As per a study by MarketsandMarkets, between 2017- 2023, APAC will be the fastest growing region for extensive use of geospatial technologies to identify potential markets and drive strategic decisions in engineering, construction, mining, manufacturing, insurance, and agriculture. Currently, 3D GIS technology is being used in the development of smart cities across various South East Asian countries. IIITM-K has a good track record of placing its students in top-notch IT industries and research organizations. The institute has an active placement cell with several experts providing employment orientation and counselling for its students throughout the period of study. Most of Geospatial Analytics alumni are working at leading position with reputed organizations and IT companies. Following are some of the alumni details.